I was having some trouble coming up with a photo for today's theme, and came across this while going through my files. 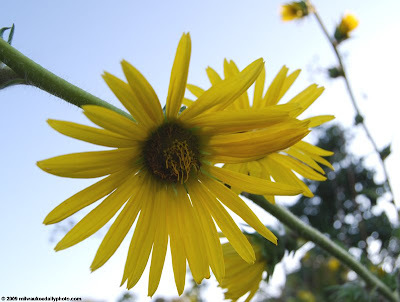 This immature sunflower certainly is yellow, and offers some hope for the coming spring. I have also posted a flower for Theme Day and it's an orchid. You are welcome to visit my blog.